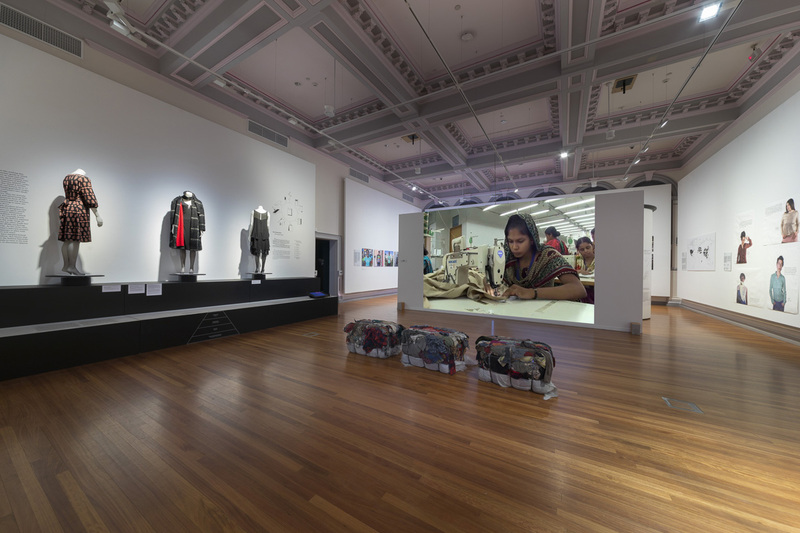 Installation image. Fast Fashion: The dark side of fashion. 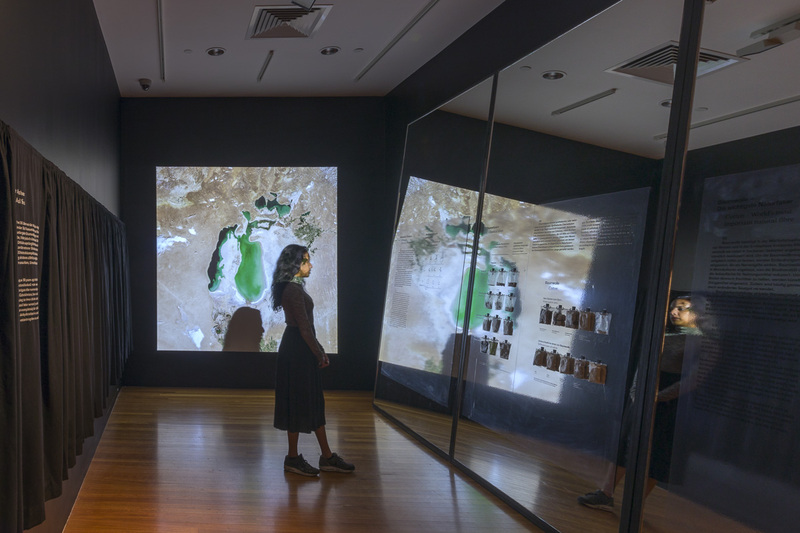 Photo: Mark Ashkanasy, RMIT Gallery, 2017. 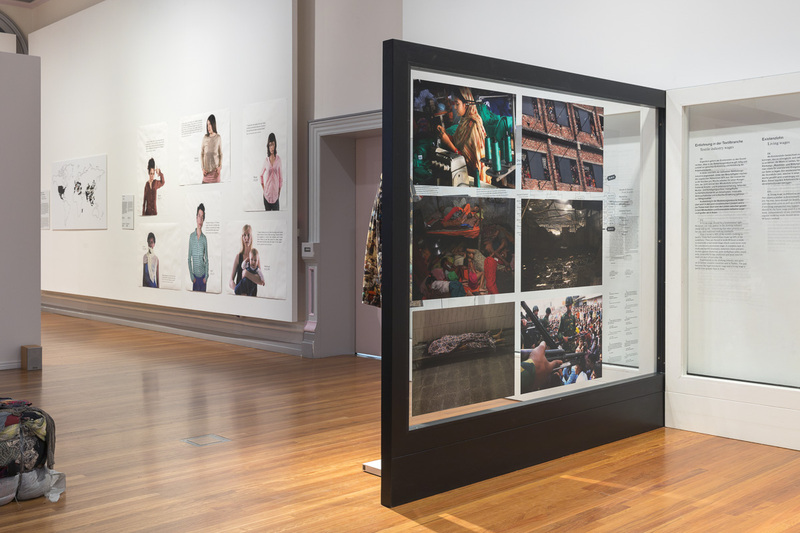 Taking a critical look behind the scenes of the fashion industry with an exhibition that undresses the social, economic and environmental impacts of cheap fashion. The world of fashion is dominated by globally active corporations that operate according to the principles of ‘fast fashion’. They cater to the constant desire for the newest and latest by rolling out new collections at an ever faster rate. Their price policies enable customers to purchase new clothing more often than necessary. 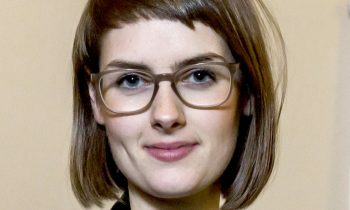 Fast Fashion unveils a dark side of the industry that lurks behind the wardrobes fuelled by mass consumerism. 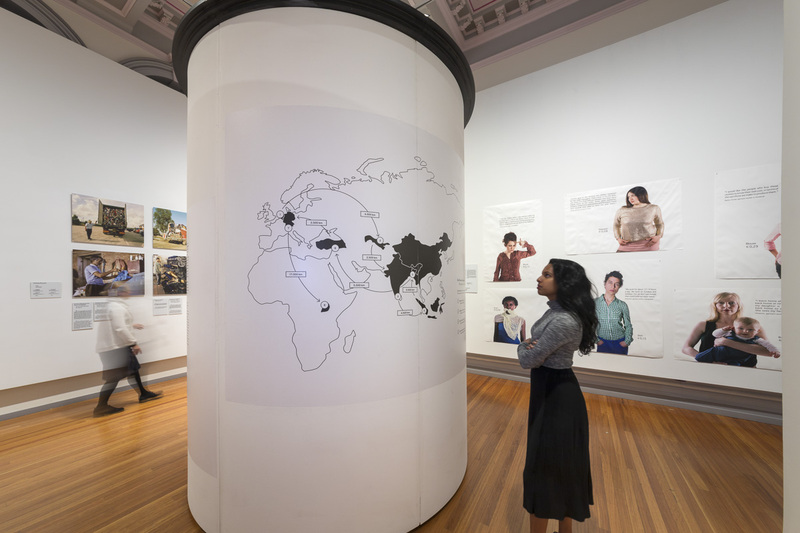 In response, the Slow Fashion Lab by the RMIT School of Fashion and Textiles explores new fashion practices and experiences to bring about positive change. 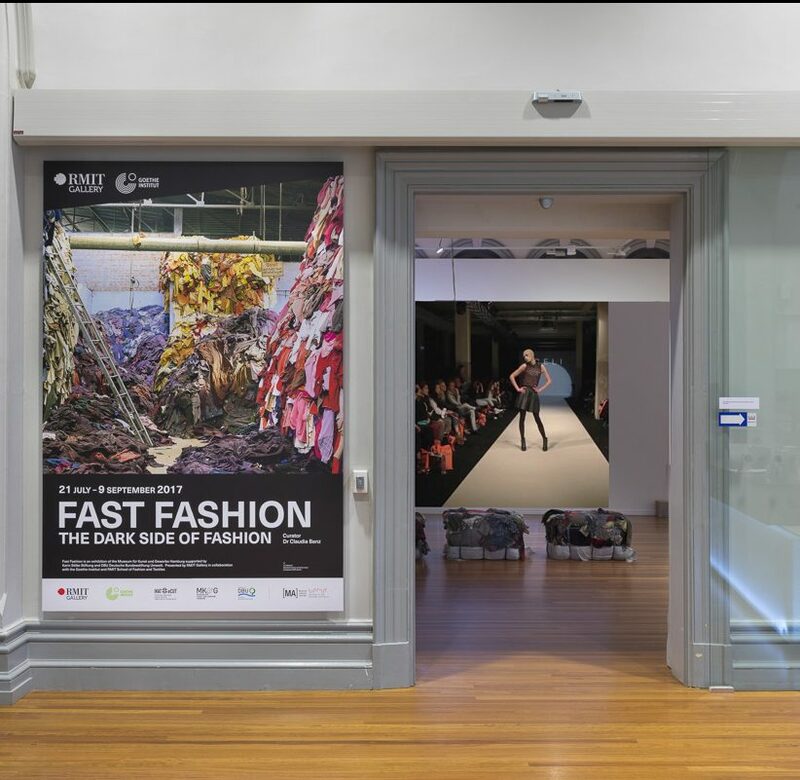 Fast Fashion provides a comprehensive and discerning examination of the clothing industry system and its socio-economic and ecological consequences. How are clothes made so cheaply, by whom and under what conditions? What does this say about the quality of fashion and the value consumers place on it? What impact do the fast changing fashion trends have on the environment? 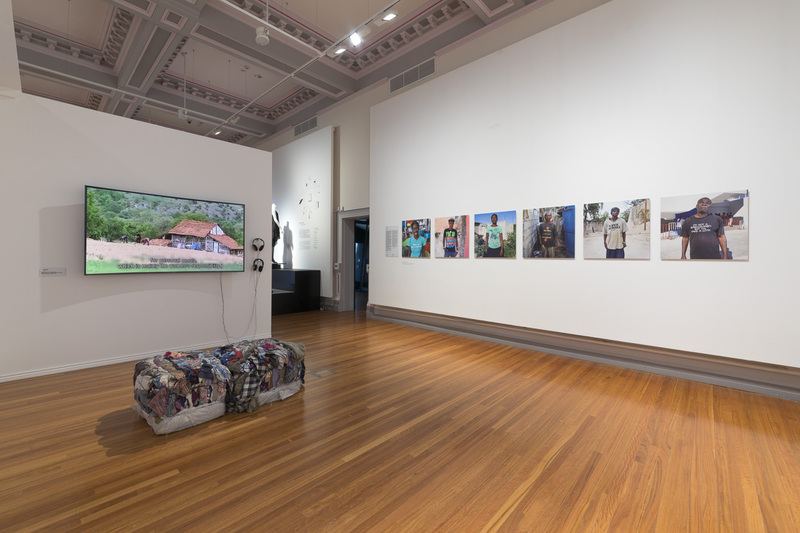 Behind cheap throwaway fashion lies a myriad of contradictions explored in the exhibition: fashion & victims; poverty & affluence; global & local effects; wages & profits; garments & chemicals; clothes & clothing & ecological balance. 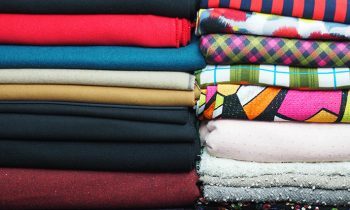 The term ‘fast fashion’ stands for a specific production and distribution system of mass-produced fashion wear that is frequently copied from high-end designs and sold worldwide at low prices. It also makes reference to acceleration in production and trade, where the time span between the product’s design and its rollout can be as short as two weeks. 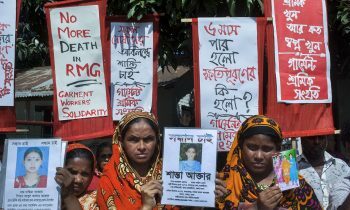 Fast fashion has attained the status of an economic success model which earns its profits at the expense of ecological and social systems, and it is among the sectors responsible for disastrous working conditions and below-subsistence-level wages. 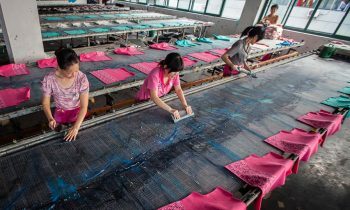 In the price calculation for a piece of clothing, a maximum of one to two per cent is accounted for by the wages of textile workers, 90% of whom are in low-wage countries, mainly in Asia. In contrast, the slow fashion movement is presently gaining significance as a counter-model to fast fashion. It calls on producers and consumers to take more responsibility and show more respect towards human beings, the environment and products. The chief aims of slow fashion are deceleration, the environmentally friendly production and selection of raw materials, fair trade, sustainable clothing production and high-quality processing, and the use of chemicals is avoided to the greatest extent possible. 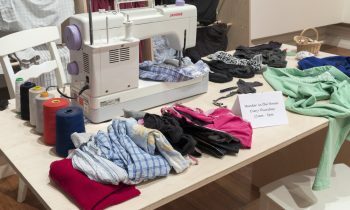 The exhibition celebrates this movement with the ‘Slow Fashion Lab’, where local designers show alternative approaches to the fashion dilemma. This platform for ethical fashion labels and new approaches to design aspects such as recycling or upcycling reveals what tomorrow’s ethically defensible wardrobe could look like.